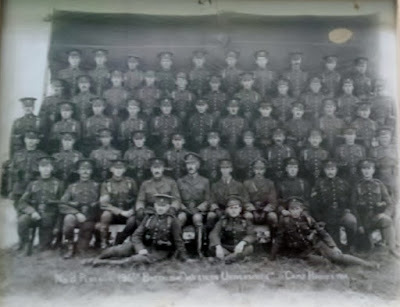 The 196th (Western Universities) Battalion, CEF was a unit in the Canadian Expeditionary Force during the First World War. Based in Winnipeg, Manitoba, the unit began recruiting during the winter of 1915/16 in universities throughout western Canada. After sailing to England in November 1916, the battalion was absorbed into the 19th Reserve Battalion on January 2, 1917. The 196th (Western Universities) Battalion, CEF had one Officer Commanding: Lieut-Col. D. S. MacKay. The Battalion Chaplain was the distinguished theologian and Principal of St Andrew's College,Saskatoon, Edmund Henry Oliver. Future Prime Minister John Diefenbaker served as a lieutenant in the battalion 1916-1917.